UNIQUE HAND CARVED fits 9mm Filter Tobacco Smoking Pipe/Pipes "GOLD LEATHER ANCHOR"
To your attention there is New Elegant HAND CARVED Tobacco Smoking Pipe/Pipes "Ship". The stem is made of ebonite, material that is traditionally used in producing of smoking pipes. This model amazes with its original fulfillment of bowl, jewelry carving and elegance of design. BRAND NEW, NEVER USED!!! 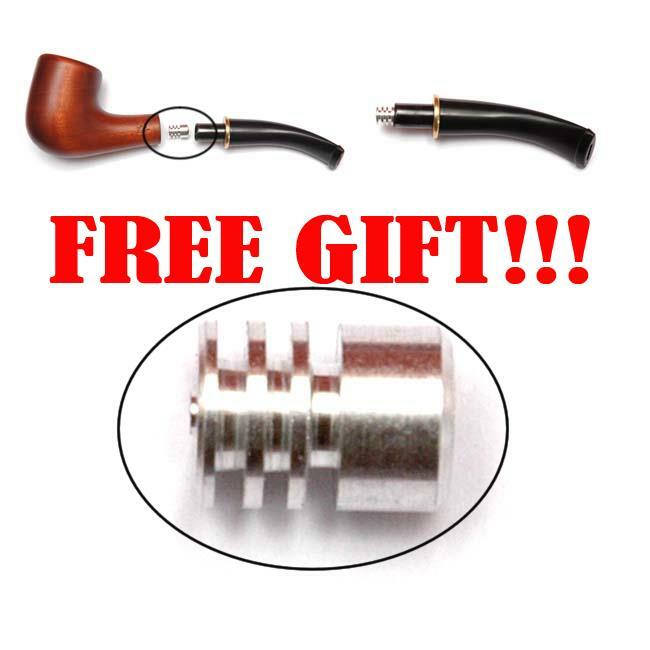 Get a Metal Filter-Cooler for pipe in a GIFT! 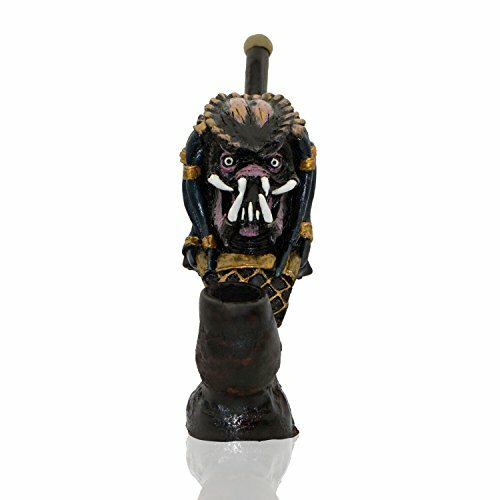 You can take sure about quality of the Smoking Pipe, reviewing detail photos of our goods. Using such you point your style and individuality. NO crude forgery - only REAL QUALITY!!! We do COMBINE SHIPPING! If you are bidding on multiple auctions, please wait for the revised invoice to receive the combined shipping discount. To be eligible for this discount, you must make one payment for all listings. We ship most orders with 24 hours. International shipping by Ukrposhta (Registered Airmail Service) usually takes about 7-10 working days to most countries, but in some cases delays can cause delivery times of up to 24 days or more. We cannot be responsible for international shipments that are lost or delayed. However, we shall do everything we can to help trace an airmail shipment delayed more than 30 days. We recommend that all of our customers open the item and inspect it thoroughly prior to accepting delivery. It is normal for packaging to show some wear, only refuse the item if the actual product is damaged. Once the item is refused, email us so we can ship a replacement item as quickly as possible. We only ship to the address provided by Paypal. If you are unhappy with your purchase for any reason your item can be returned for a refund of your purchase price or an exchange. Full refunds (purchase price + shipping) will be given in the event that we make a mistake on the listing. The item must be returned to us before a refund is issued. You must contact us and arrangements must be made within 7 days of receiving the product. We reserve the right to refuse any exchange, credit or refund if we feel that our return policy is being abused or taken advantage of. Unless there are special circumstances, refunds will only be processed through PayPal. 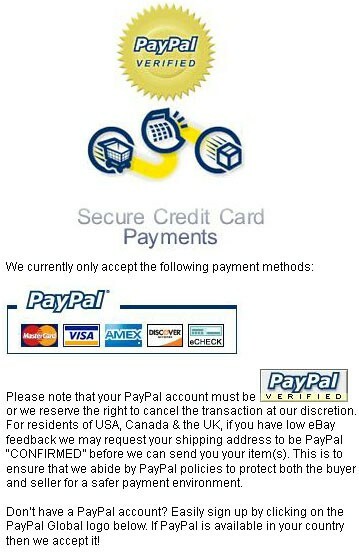 You are responsible for the applicable PayPal fees.